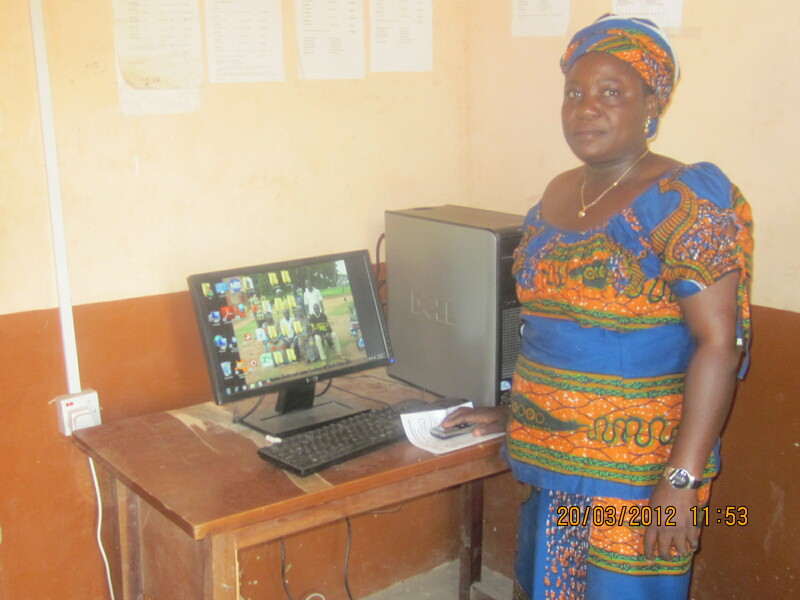 UPDATE MARCH 2013 The two pictures show a teacher (Head teacher perhaps) standing beside ICT equipment in use, and girls with placards which read: “We are grateful to GSA” “We can now have practice lessons in ICT” “Yendi Girls – we love GSA” “GSA Ni yi tuma pam” “GSA We need more” “Yendi Girls – we are proud of GSA” “We can now learn in the night”. 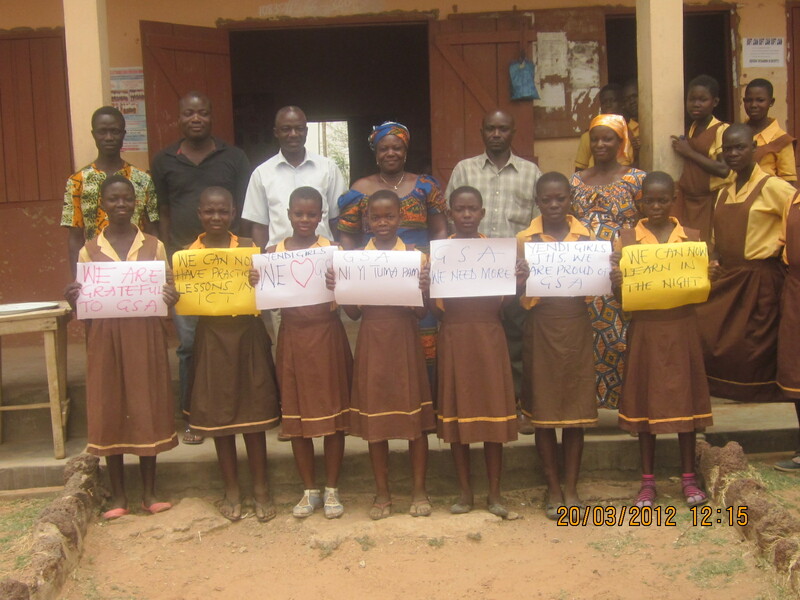 Right on, Yendi Girls, we’re delighted to have your messages! 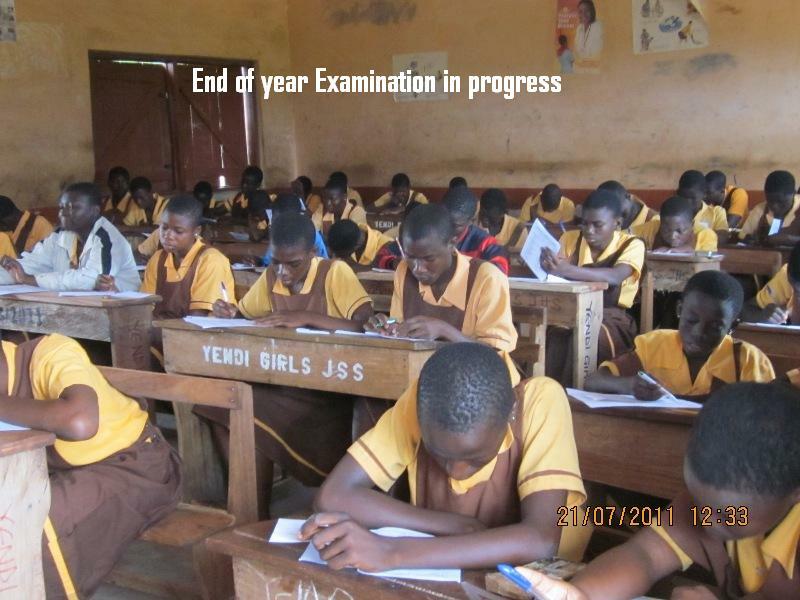 This entry was posted in Projects and tagged yendi-girls-junior-high-school by Penny Sewell. Bookmark the permalink.